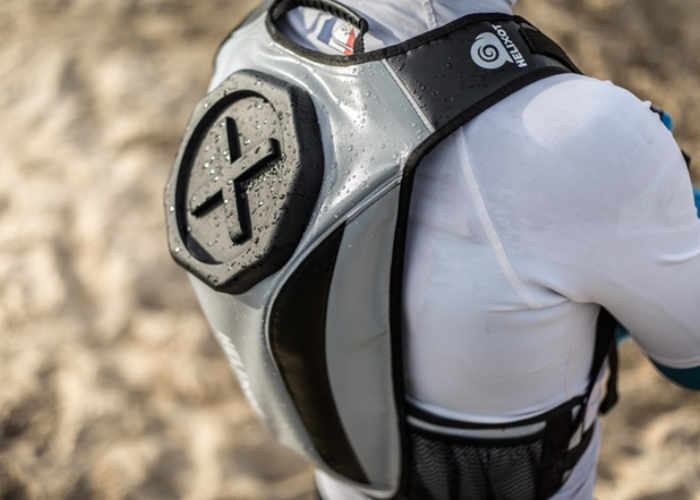 Anyone looking to carry their valuables whilst exploring, sailing or adventuring near water, may be interested in a new waterproof backpack called the XO 6.2 which has been designed by Helixot. Unlike traditional backpacks the Helixot XO 6.2 backpack can be fully submersed in water yet still keep your personal items safe and dry. Watch the demonstration video below to learn more about its construction and the materials used to help keep your valuable possessions safe from water damage. You want your camera, cell phone, car keys, wallet etc. to be safe and dry! Who doesn’t want to have any restraints! Who want to be free to explore and enjoy every moment? The XO 6.2 backpack by Helixot is the answer! It allows you to fully enjoy your favorite outdoor activity while keeping your personal items accessible and dry! • A coated fabric, useful for all nautical activities, which is very durable and completely waterproof. • A screw cap closing mechanism and welded seams, which ensures airtight protection. The Helixot XO 6.2 backpack Is now available to bank via Kickstarter with pledges starting from just €85 for earlybird backers with shipping expected to take place during May 2017.